Lately I've been so inspired by the color blue, to be specific cobalt. 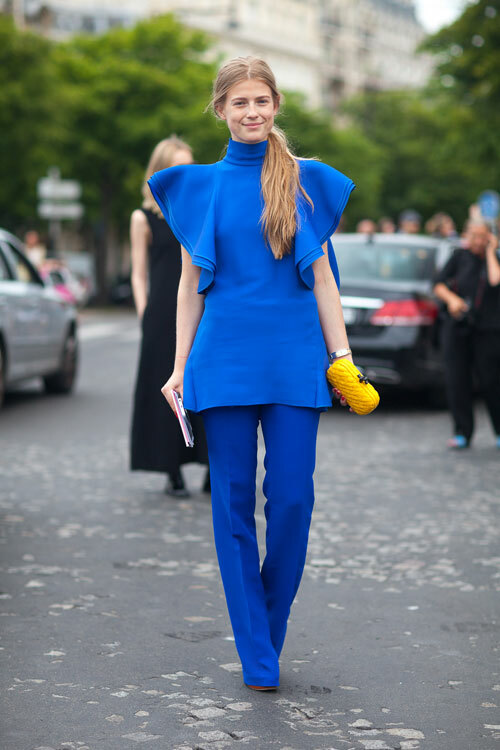 I love the bold monochromatic looks from these street style images. Also, the touch of yellow from their bags are such a nice touch.